in roles where the query is *. The results are sorted in ascending order by date last photographed. This is page 1 of 4. 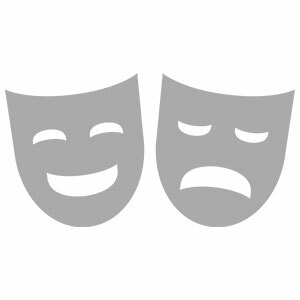 This role currently has no image. There are 152 objects with this role in our collection. There are 84 objects with this role in our collection. There are 7 objects with this role in our collection. There are 26 objects with this role in our collection. There are 202 objects with this role in our collection. There are 227 objects with this role in our collection. There are 27 objects with this role in our collection. There are 10 objects with this role in our collection. There are 22 objects with this role in our collection. There are 5 objects with this role in our collection. There are 77 objects with this role in our collection. There are 66 objects with this role in our collection. There are 9 objects with this role in our collection. There are 3 objects with this role in our collection. There are 12 objects with this role in our collection. There are 2 objects with this role in our collection. There are 16 objects with this role in our collection. There are 68 objects with this role in our collection. There is 1 person with this role in our collection. There are 36 objects with this role in our collection. There are 4 objects with this role in our collection. There are 123 objects with this role in our collection. There are 4755 objects with this role in our collection. There are 644 objects with this role in our collection. There are 28 objects with this role in our collection. There are 173 objects with this role in our collection.